Matt Dixon, head coach and Founder of Purple Patch Fitness, may be the best triathlon coach in the world today. He has taken more athletes from relatively meager backgrounds (by “meager” I mean “extremely freaking talented athletes who may have an elite background in one sport but not a triathlon background”) to world class triathletes; think Jesse Thomas, Sarah Piampiano, Laura Siddall, and recently Chelsea Sodoro. Matt Dixon has a way of taking triathlon training science and distilling it down to stories, anecdotes, and case studies that make his content some the most digestible information in triathlon. Triathletes who read or listen to Matt’s work will understand who certain techniques apply to, what the outcomes are if the techniques are applies, and how to apply them. The one downside to Matt’s work is that (I say this with love, Matt) he says a lot without saying a lot; by that I mean that his content is told in long format so you’re not in for a quick read. Regardless, I think the Well Built Triathlete is the first triathlon book every triathlete should buy. As indicated by my glowing review of The Well Built Triathlete above I think very highly of Matt. While Matt Dixon’s first book was about tangible training methods and how-tos The Fast Track Triathlete is less about providing hard and fast takeaways and more about the mindset required for a healthy approach to triathlon training. Matt imparts the message that more is not always better in this book, rather the message is that a balanced approach is better and what a balanced approach looks like. If you’re looking for factual how-tos of triathlon training then pick up The Well Built Triathlete. If you’ve already read Matt’s first book and are looking to deepen your knowledge about how to practically integrate sport into life (as Matt puts it) then grab this book. For years this was the preeminent book that triathletes would go to when starting to learn about triathlon training. Joe Friel is one of the most well-respected and knowledgable coaches in triathlon and this book reflects his incredible depth of knowledge about triathlon training, body movements, and sports science. The downside that I experienced and I hear from many people is that the book reads like stereo instructions; it explains what to do but not necessarily how to do it. 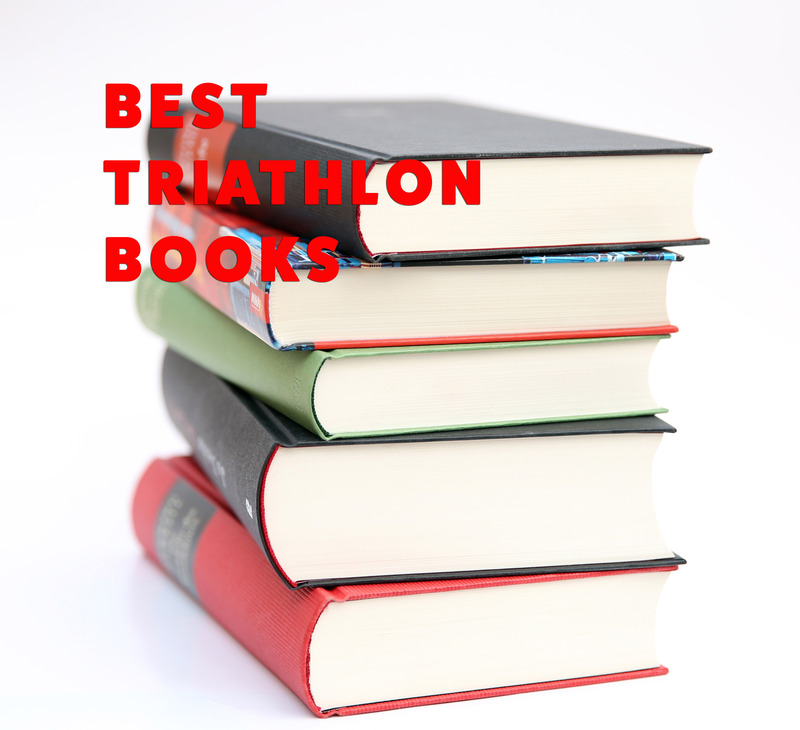 So the result is that triathletes who read this book learn a lot about what the proper way to “do triathlon” is, but finish without much of a clue about how or what to implement in their personal triathlon training. Endurance athletes are notoriously tired, overtrained, sick, sore, or injured. This has been proven to most often be the result of going too hard on easy days and too easy on hard days; this low ROI training (as I like to call it) doesn’t allow the body to recover or get faster. 80/20 Triathlon explains the how and the why of the importance of keeping the vast majority of your training (80%) at low intensities Zones 1 and 2, while performing a small amount of training (20%) at high intensities Zone 4 and 5. This book is great to understand the concept of polarized triathlon training which I am a huge proponent of. The downside to this book is that it’s like 3 great chapters crammed into a 15 chapter book; the key concepts could be told in a blog post. This book by might be one of the most well written books as far as providing information in an absorbable way, while providing an appropriate amount of scientific proof, not being too long winded, all while giving concrete takeaways. This book discusses the effectiveness of HIIT (high intensity interval training) where people perform very short bouts of extremely intense exercise. The concepts and proof will give you confidence that even a time crunched triathlete, who REALLY goes all out with HIIT efforts during their 20% polarized training, can make huge gains despite a short training schedule. Where this book lacks information is as it relates to a triathlete specifically as it gives HIIT workouts but doesn’t provide an overall training plan. Pair this book with some of the book above and you’ve got a great combination. If you really want to geek on on the science of human performance and the evolution of what sport scientists allowed athletes to perform, look no further than Endure. This book isn’t just for triathletes, it’s wildly popular with all types of different athletes wondering what separates elite athletes from world class athletes. While this book doesn’t provide many tactical takeaways that you can use in your everyday training it provides a really interesting story about the evolution of sport science that any performance geek will love. Because this book isn’t intended to provide facts and structure you can listen to this as an audiobook as you likely won’t need to make notes or highlights as you read it. Great entertainment value in this book, but don’t expect to unlock the secrets of high performance (besides just that most of us are hold benefit from a strong dose of HTFU) so that’s why the scores below are lower. But I’d recommend this book to anyone who just wants an interesting read. Peak Performance is another book similar to Endure, by which I mean that it’s not triathlon-specific. Rather this book applies to athletes, or anyone really (business people, employees, entrepreneurs) who wants to excel at their chosen craft. The concept that Brad Stulberg and Steve Magness propose that will benefit triathletes is that Stress + Rest = Growth. I believe this is crucial (and myself use Stress + “Restoration” which I think encompasses more than just rest) for triathletes to hear because we are notorious for crushing workout after workout without putting any emphasis on rest resulting in illnesses, injuries, burnout, and lack of progress. Look at the majority of triathletes and ask them if they’ve made significant progress over the past several years; despite always “doing the work” most triathletes fail to improve putting out the same times year after year, I believe this is because most triathletes don’t prioritize restoration so their bodies can’t absorb the work. This book provides a book philosophical approach for how to balance hard work with downtime, just don’t expect hard takeaways because how to accomplish stress + rest = growth is unique to everyone. That said, there’s enough “meat” in this book that you should understand the principles and be able to customize the concept to your unique life or triathlon training scenario.